At Excel Motors (Midlands) Ltd, we supply the very best used Nissan cars in Derby. For years, Nissan has supplied the market with innovative, reliable and affordable cars, making the brand highly popular. Examples like the Nissan Qashqai and Juke SUVs offer plenty of space, a fantastic driving experience and all the practicality that a family needs, while other options such as the GT-R sports car are designed to thrill petrol heads. 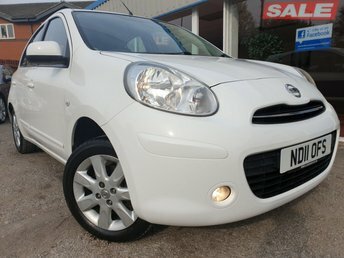 Interested in finding out more about our used Nissan cars in Derby? Speak to one of our experts today or check our website to view our latest stock. If you would like to take one of our used Nissan cars in Derby a test drive, give us a call and we will be happy to schedule an appointment.